Delta Spirit has always been a thoroughly modern rock band, and, with their self-titled new album, they set out to prove it. When it came time to record Delta Spirit’s third album, the band members knew one thing: It was time to shake off the stylistic labels that have shadowed them since they formed in San Diego, CA, in 2005. Though lyricists Matt Vasquez and Kelly Winrich were grateful for the warm reviews that their previous albums Ode To Sunshine (2008) and History From Below (2010) received, they were perplexed at being called “rootsy Americana” or “twangy folk.” In their eyes, Delta Spirit has always been a thoroughly modern rock band, and, with their self-titled new album, they set out to prove it. The band also experimented sonically, creating layers of texture by using previously verboten instruments like MPC samples and drum machines. They also empowered their new guitarist, Will McLaren, to create stand-alone parts, and to go to town on electric instruments. 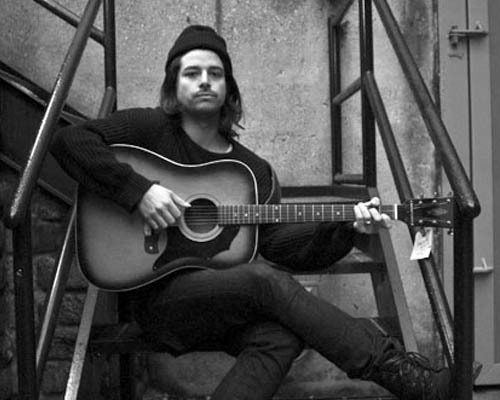 The experimentation can be heard throughout the album, which opens with the rollicking opening number “Empty House,” and serves as a transition between Delta Spirit’s previous sound and its new one. “The intention was to introduce the album with something that hints at what we used to sound like,” Winrich says. “We wanted to ease people into it.” The band, who recorded the album at Dreamland — a converted church built in 1896 in Woodstock, New York — also upended traditional song structures, playing around with writing songs with no choruses (“California”) and generally throwing off simple verse-chorus-bridge conventions, making sure each verse felt different from the one that preceded it.